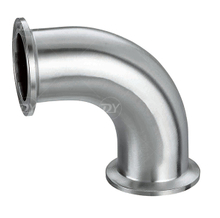 Sanitary bend is also called sanitary elbow, sanitary curve. 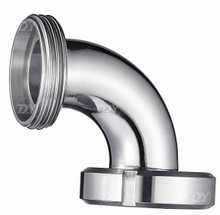 Our production line include equal bend, unequal bend 90degree bend, 180 degree bend, 45 degree degee. 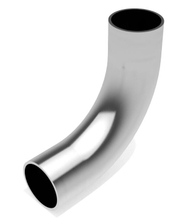 Aur bends can be produced according to varity of Standards. 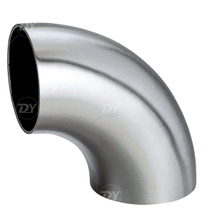 We supply 3A bend, sms bend, DIN bend, BPE bend and so on. 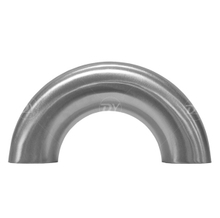 The Material is SS304 or SS316L. Size from 1/2" to 12". All gaskets are compliant with FDA. 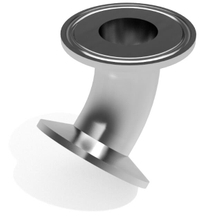 The inner surface can be Ra 0.4 finished.